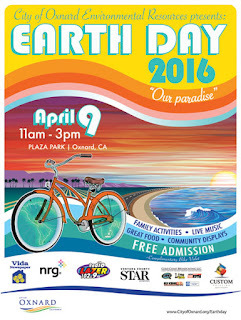 Mark your calendar for the City of Oxnard's Earth Day celebration--Saturday April 9 from 11:00 a.m. to 3:00 p.m. at Downtown Plaza Park. 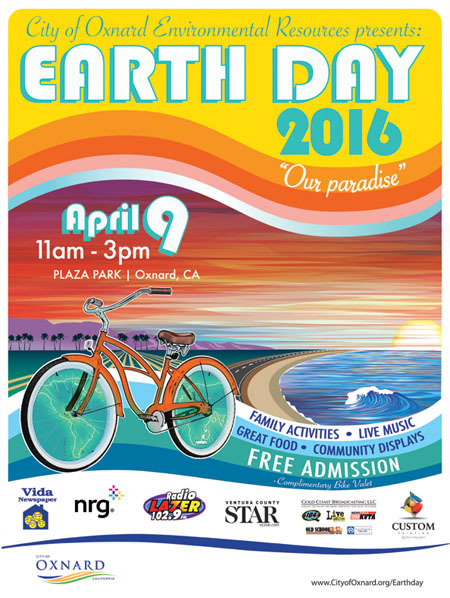 They'll be plenty of family activities, live music, great food and Earth Day displays. Admission is free. The City of Oxnard will also be giving away four-quart bags of Agromin's organic compost. Our compost is made from the organic materials collected from residents and businesses. The grass clippings and leaves you put in your green waste containers last month may now be turned into compost you pick up at Earth Day! Make sure to come early to get your bag of compost.